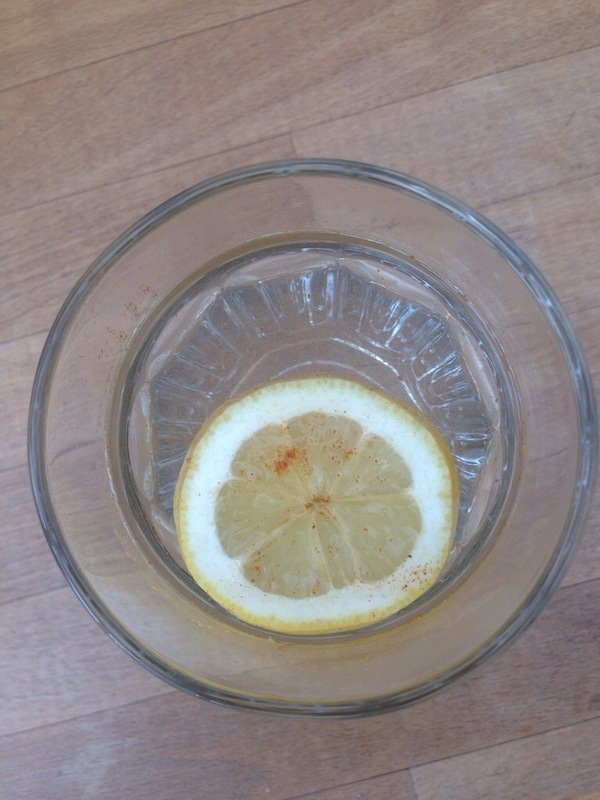 A great way to start your day is to hold the regular tea or coffee first thing and replace it with warm lemon water with a dash of cayenne pepper. Yuk? No, not bad actually. The lemon is a natural detoxifier, loaded with antioxidants whilst the cayenne pepper jazz up your circulation and get your body going. Lemon is one of those funny citrus fruits (along with grapefruits and limes) which, although acidic in nature, have an alkalizing effect in your body. The water should be warm, not hot, and using a wooden citrus reamer, squeeze 1/2 lemon into a the cup of warm water and add a pinch of cayenne pepper. Wait for about 30 minutes before you eat something or drink your regular morning drink. At least you’ve given your body a great detoxing start. To read more about the health benefits follow this link.